Most people won't know me as a competition climber. 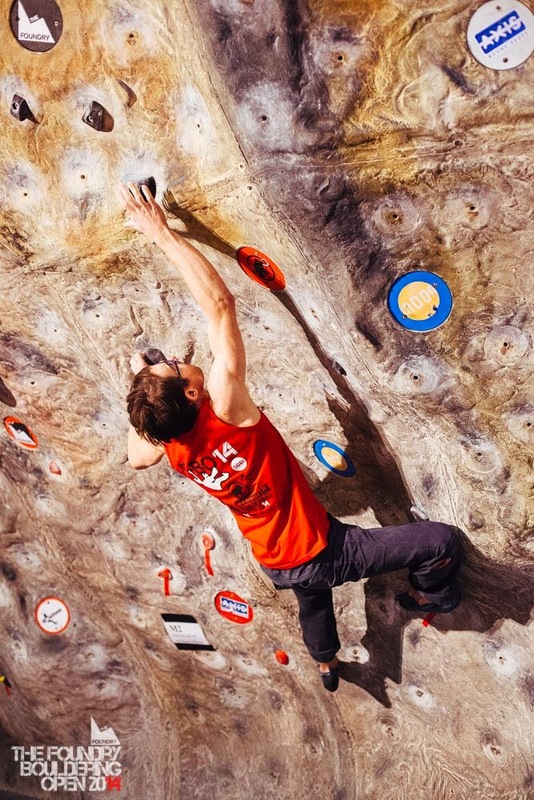 For me it is all about climbing outdoors and I see indoor climbing purely as a way to train and occasionally a way of having fun messing around with a bunch of mates (especially on those rainy days). However it may surprise a few to learn that 'back in the day' I did used to do a fair few comps around the country. These were mainly lead events with the odd bouldering one thrown into the mix every now and then. I was never very good, but I made finals on a few occasions and used to enjoy the scene. In more recent years however comps for me have gone off the radar, bar taking part in the odd one here and there. The last one I did was Rocfest last year and while it was good fun it also cemented the fact of why I'm not a huge fan. Queuing and massive crowds! It can be/is a nightmare. Constantly dodging bodies, all vying to try problems that are getting more and more filthy by the minute with sweat and chalk. However after hearing about the FB0-14 and that Mammut were going to be one of its main sponsors I figured it would be good to show some support and it could actually be a fun day out. Plus the weather was guaranteed to be nothing special. The general theme of rain and more rain seems endless just now and it is hard to keep motivated. In the end it was a brilliant day out, the qualifiers went pretty good and I thought all the problems were really well thought out and made good use of the limited space available. 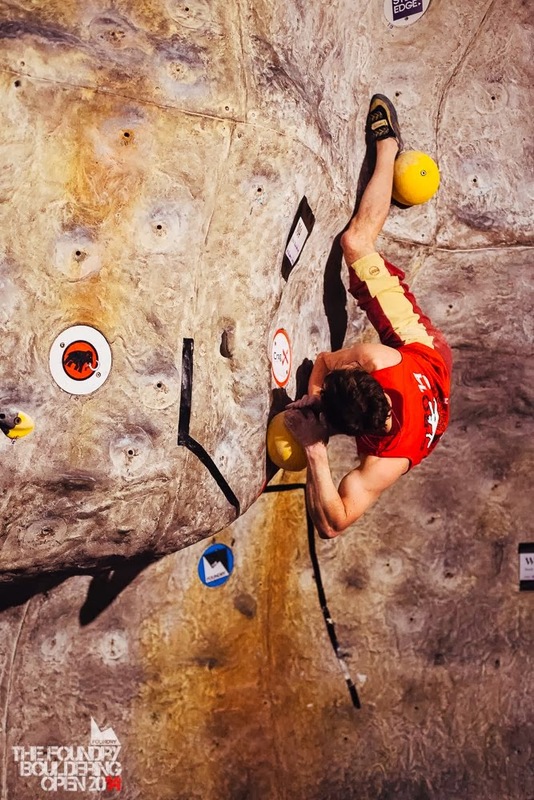 I made it through to finals in 4th place and was psyched to see what the route setters had conjured up for us all to battle it out on! 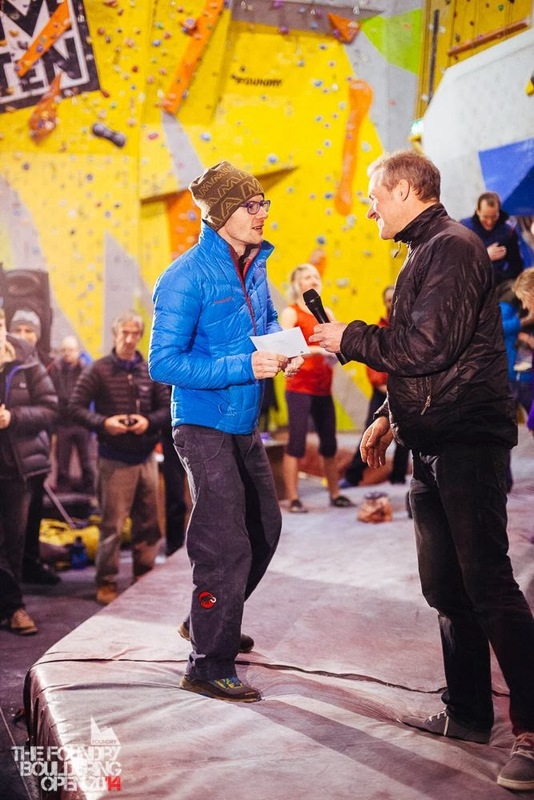 The final seem to go incredibly well for me, I felt fresh, focused and in the end totally surprised myself and somehow managed to eventually finish the event in 2nd place. Narrowly missing out on the win by one tiny attempt! A silly foot mistake on bloc 4 ended up ultimately costing me! A range of emotions hit me afterwards. I was obviously super pleased and stoked to have completely exceeded all my expectations of the day, but at the same time I felt pretty gutted to have come sooo agonisingly close to sealing the win, yet one slip up had let me down. It was a great experience though and in hindsight it is all too easy to say 'if only this' and 'if only that' but in the end I'm just very pleased to have competed, had fun and come away with a fresh outlook on competitions. 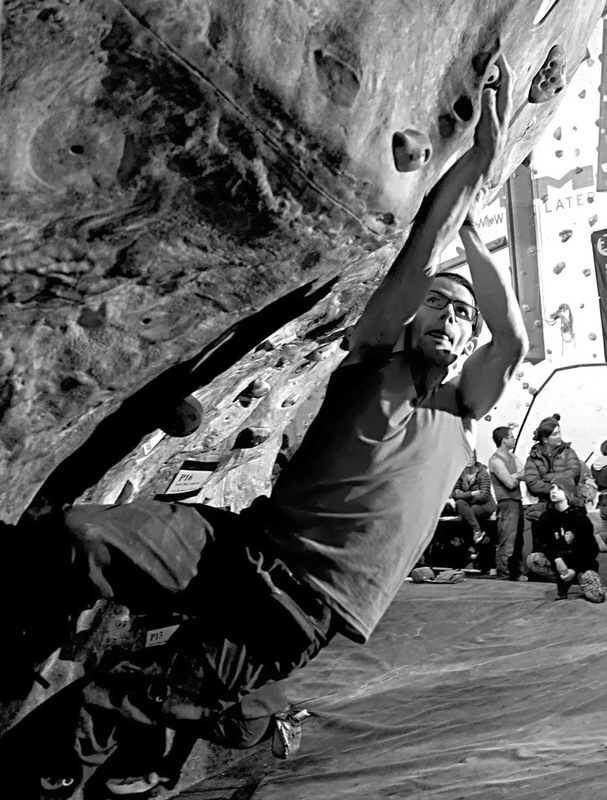 Stu entertaining the crowds and getting all funky on the last problem! A day or so later I found myself watching the mens and womens halfpipe final in Sochi. Competitions in general are a cruel game, no matter what level they are at. It was interesting and also slightly encouraging to see elite athletes such as Shaun White blow it and even Torah Bright not come out on top. Anything can happen in these things. Finally a big thanks to The Foundry, the route setters and all the events sponsors for putting on a quality day for everybody! Same again next year I hope... Also congrats to all the other finalists, especially Martin and Shauna on their win!